Aduceus – Walking The Desert – Single Review | The Ark of Music – The best music in the world…you never knew existed. Formed in 2017, at the heart of the London, England-based classical symphonic rock project known as, Aduceus, is brainchild, composer, and musical director, Mark Powell. Mark first began his musical journey with folk-rockers, Blackthorn, and then soon found himself branching out into production and engineering, working with many talented artists of the genre. As his work gained a reputation, he moved into theater, radio and TV. His music has since been featured on programs worldwide, and can even be found on X-box games. The result of this lifelong vocation of music is Powell’s love for classical symphony, particularly when blended with rock and other electronic elements. Which brings us to his latest production. 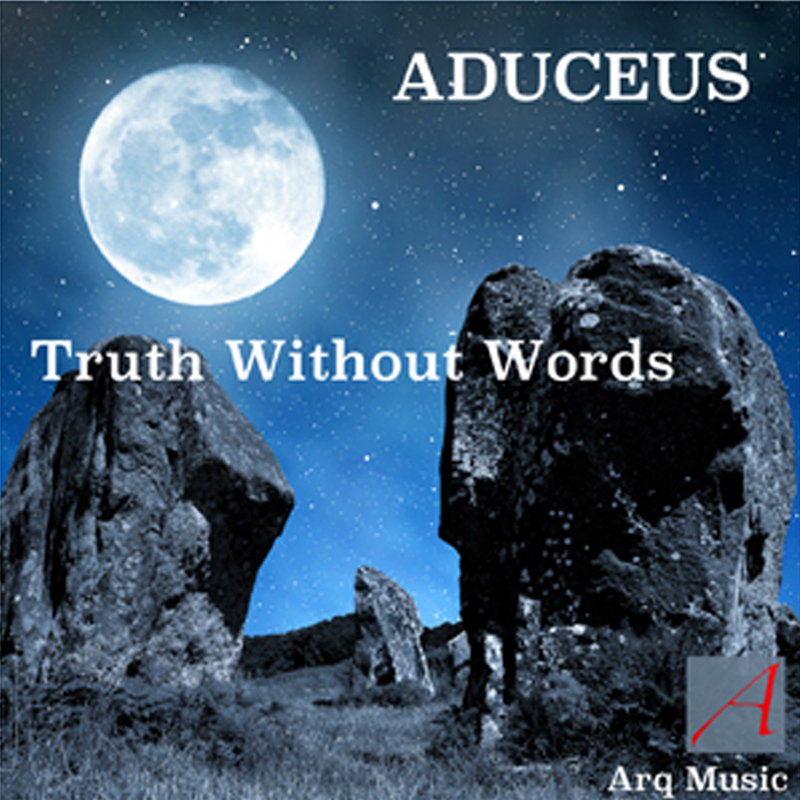 Under the moniker, Aduceus, he is releasing the album, Truth Without Words, for which the lead-off single is, Walking The Desert. An intensely creative composition, this electro-infused, sympho-rock number could just as easily serve as the reboot of the Flash Gordon theme-song as it could the next Rocky training montage. For about thirty seconds near the end of the track, all crashing symbols, ominous brass, operatic vocals, and distorted guitars disappear—like the eye of a storm passing overhead—creating a delicious contrast where one lone voice is joined by a few ambient keys and synth. The track then concludes as it began—in a symphonic cloud of rock-resonance. It is all quite entertaining. BELOW: Listen to Aduceus’ single, Walking The Desert, and connect with their website and social media platforms. Please support Aduceus by visiting them online, and playing, downloading, and/or purchasing their music. And, as always, thank you for supporting real music!